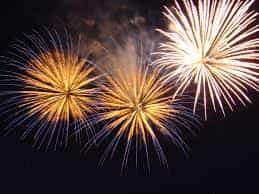 With the 4th of July holiday this week, it is often a time of celebration, family gatherings and traditions. 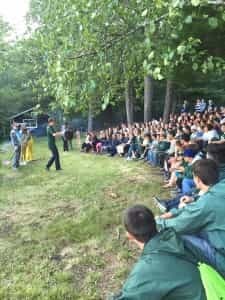 At camp, it is no different! 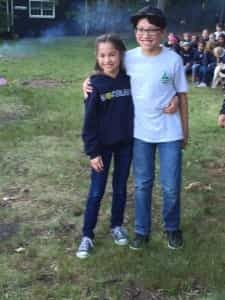 Woodland has its own 4th of July traditions including the annual campfire at Towering Pines that marks the first of several joint-camp events where brothers at Towering Pines and sisters at Woodland are reunited. 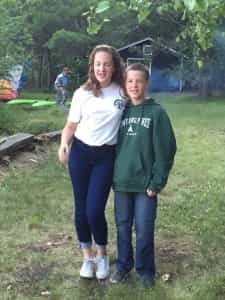 I was telling my sister that for my niece and nephew who are at camp this summer, this may a first in their sibling relationship when they are actually excited to see each other (let’s just say that they don’t always get along when they are at home)! 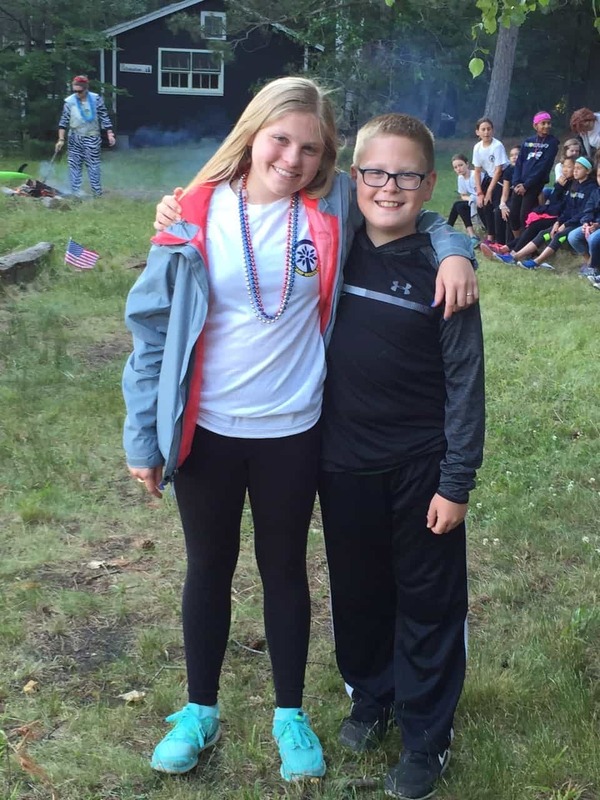 The 4th of July traditions that have been passed down through the past 45+ years are part of camp history. Campers at Woodland wake-up to the sound of horses through the cabin area and riding staff shouting that the “British are coming” instead of the usual bell tolling at 7:30 am. The lodge is decked out in “red-white-and-blue” decorations that a CIT on duty put up to make a festive dining experience. Campers and counselors alike wear various patriotic clothing combinations of their own to contribute to the holiday celebration. Activities continue as normal throughout the day; however, the hype for the evening’s “Red, White, and BOOM” campfire at Towering Pines builds as campers negotiate the shower schedule to be sure everyone is squeaky clean and has time for proper primping before donning their Woodland Wear to get on the shuttle to drive the 2.5 miles to the boys camp. For campers who do not have a sibling at Towering Pines, there is always the opportunity to meet a camp “brother” from a cabin of similar age. 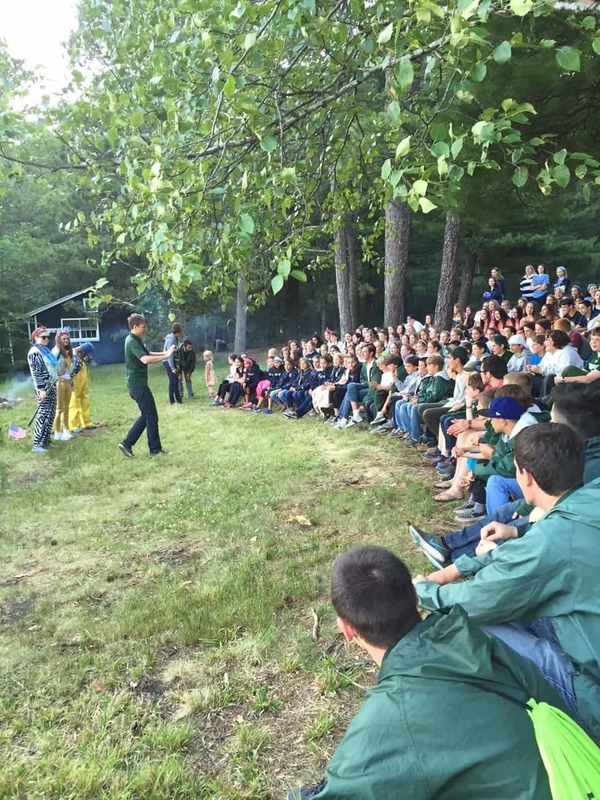 Each cabin from both camps takes part in the annual 4th of July campfire entertainment and performs a skit or song. Woodland “sisters” and Towering Pines “brothers” stick together during the campfire and cheer each other on through the various performances. As you can see, we are one big, happy family! Thanks to our brother camp, Towering Pines, for hosting another FANTASTIC 4th of July EXTRAVAGANZA…we will see you soon for TP Fair (4th Sunday) and Woodland Fair (5th Sunday)!